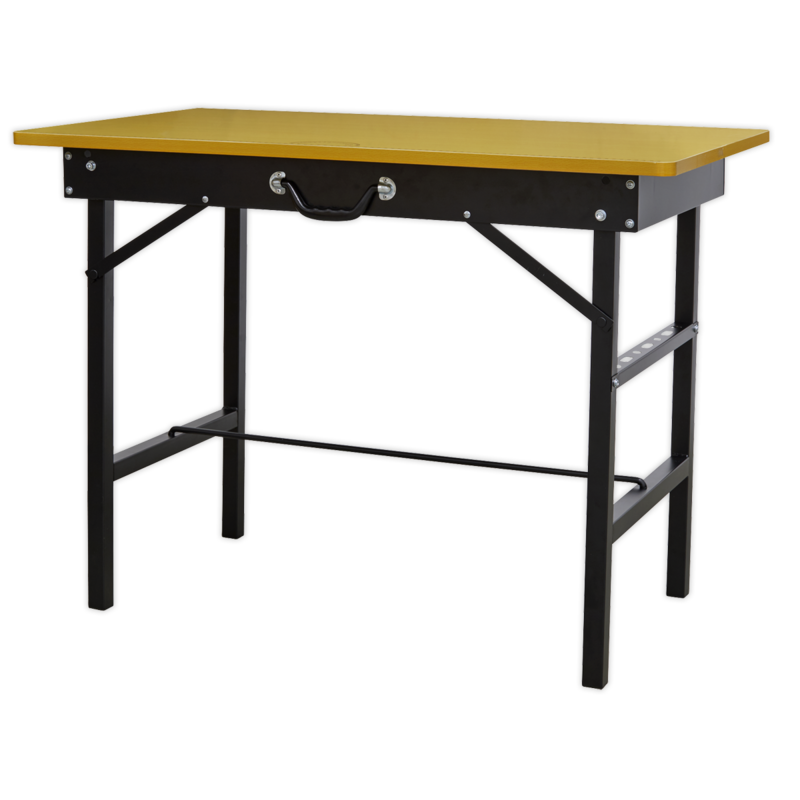 • Powder coated steel foldable workbench with MDF work surface. • Built-in storage bar for easy storage and access to tools. • Folds and unfolds in seconds for quick set up wherever required. • Ergonomic composite handle and lightweight at only 14kg for ease of carrying. • Worktop marked with 960mm measuring scale and 180° protractor. • Supplied with slot in cross bar for added stability. • Maximum weight capacity: 100kg.